Chipmunks in the garden may be cute at first sight, but when they start to eat your tomatoes, they are nothing but a pest. Chipmunks can destroy your tomato crop by eating the fruits right off the vine, and the tomatoes that they do not consume are often spoiled by the rodents' excrement. Fortunately, it is fairly easy to keep chipmunks out of your garden using natural means that will not hurt your tomatoes or the chipmunks. Combine a pint of water, a clove worth of minced garlic and 2 tbsp. cayenne pepper in an airtight container. Keep the solution sealed in the container for 48 hours. Strain the solution into the spray bottle and throw away any remnants of the garlic. Spray the solution on your tomatoes and tomato plants. This will make the tomatoes smell and taste unpleasant to the chipmunks. 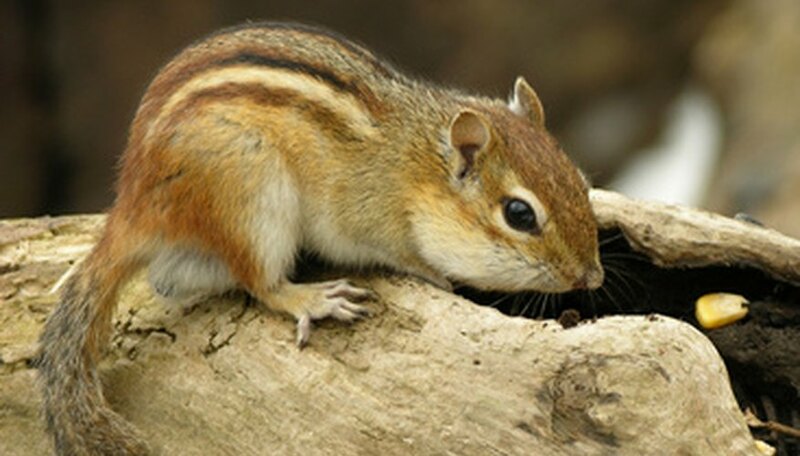 Spraying the leaves will increase the unappetizing smell even though chipmunks do not actually eat the leaves of the plants. Respray once a week or after a rain. Coffee grounds around the plants act as fertilizer and discourage chipmunks. Vinegar-soaked rags hung around your tomatoes can also deter chipmunks. Wash your tomatoes before eating them.